I spent a good spell yesterday stalking fish along a pretty exposed section of the Río Grande. It was pretty tough going. The sky was overcast and on my bank there was almost no cover and so I was forced to stand well away from the river to avoid breaking the skyline. To make matters worse there was a pretty steady downstream wind with gusts strong enough to blow my hat off. All of these things – the overcast skies, the strong wind and the scarcity of cover mean that you really have your work cut out for you. I realised this even as I was tackling up at the car but fishing is just one of those things. I will always sign the consent form regardless of what is written in small print! In the end I hooked one fish in this particular section of river. He rocketed downstream and threw the hook after a few seconds and I managed to drop a nymph in front of a few more which were either indifferent or scared by it. One of these barbel was a good one too. He was cruising tight against the bank of a deeper stretch and was partly obscured by the vegetation on the lip. I dropped the nymph a foot in front of him, confident that he had not seen me. He took one look at the nymph and simply bolted! If this river teaches us anything it is that always worth persevering even when it seems like it may not be your day. One thing about these fish is that there is always one sucker out there. When all the rest seem to spurn your offerings you might just come across this one if you keep looking. Not always, of course, sometimes the real sucker will be turn out to be you! Having been snubbed by the fish in this first stretch I sought easier pickings further downstream and was rewarded by a lovely fish at the head of a deep pool. This particular spot would have been my first port of call but when I arrived at the river there was a family having a picnic there and a couple of kids were lobbing stones into the river. 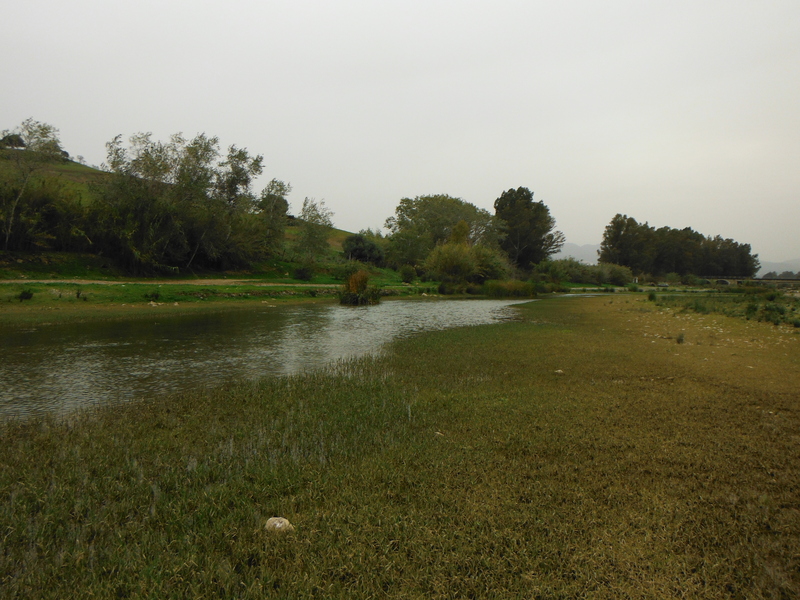 Then in the last hour or so of light I tried the Río Guadalhorce a little upstream of its confluence with the Río Grande and here I caught a second barbel. 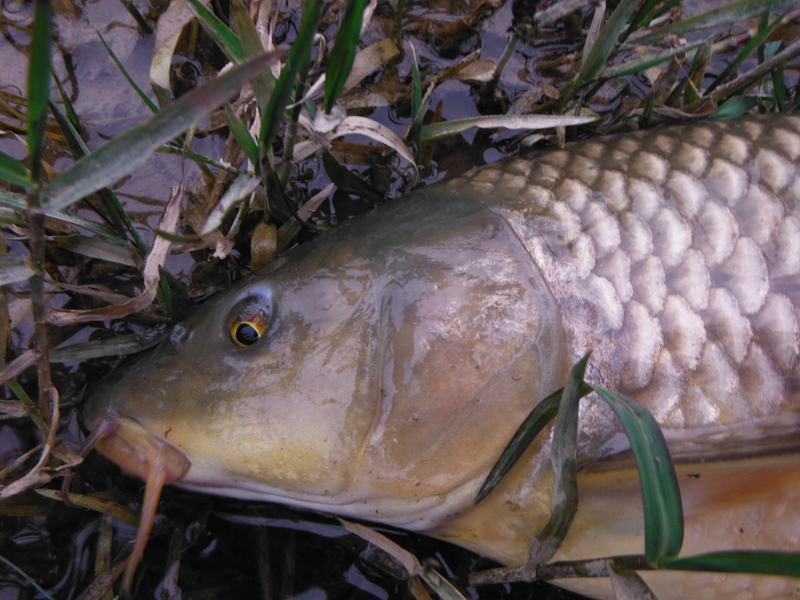 There were carp here in the flooded shallows as there have been for at least the last couple of weeks. Walking through the bushes 30 metres from them, I broke the skyline and there were a half a dozen swirls to reveal that this had not gone unnoticed and I approached the river to find half a dozen clouds of mud to mark the places that the carp had turned tail and not a fish in sight! It was good fun trying to stalk along this bank but all to no avail. There´s always one sucker! This turned out to be a pretty respectable barbel. It is a while since I had a bigger one. 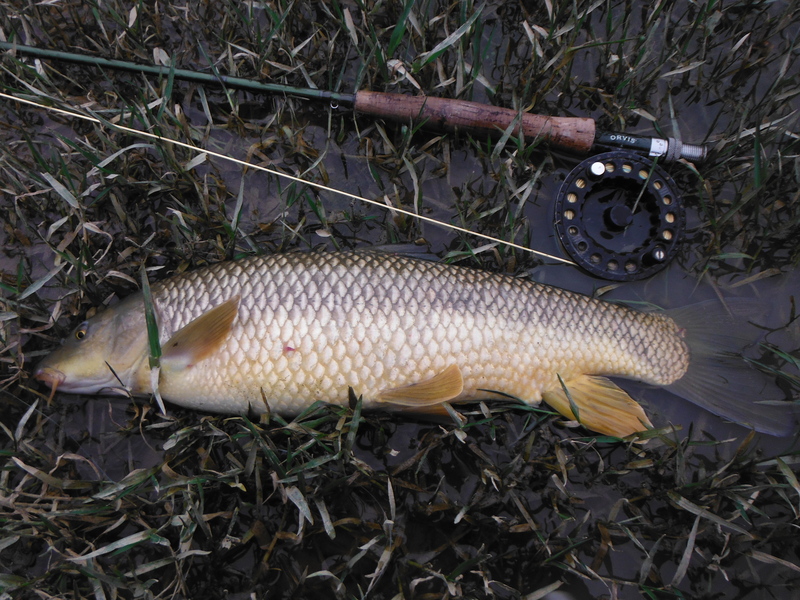 With sensitive barbels these fish can feed well even when the river is quite coloured.